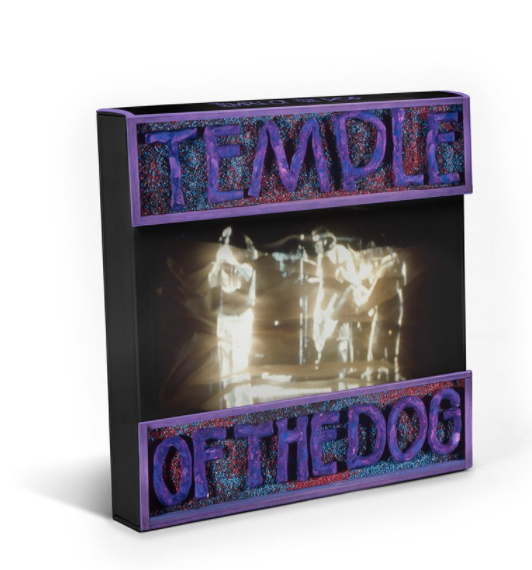 In 2016, we had the opportunity to be a part of the official Temple of the Dog DVD release, as it included our 2011 PJ20 video footage. The footage was [very patiently] put together by Steve Duchin [Facebook] using our PJ20 (2011) video edited together with other fan footage and pro audio recorded at the show. We were lucky enough to meet and hang out with Josh Homme in our hotel [which was also where The New No2 and The Strokes were staying] ! As well as, we assume, Brendan O’Brien, based on his computer showing up on the same hotel wifi network [screen grab]. Homme’s tour manager also got us a photo pass which we ended up sharing (Meghan + Mike & Jaye English) for both nights of Mudhoney, Queens of the Stone Age, The Strokes, and Pearl Jam. The final four bands are all bands that we would kill to see live anytime/anywhere. To have them all together, and two nights in a row was beyond epic. As a bonus, the Friday before the show was Jaye’s birthday and Meghan and I’s 3-year anniversary, and that was the night that: We found out for sure that Chris Cornell would be at the shows, we had dinner a few feet from The Strokes (although I had my back to them and didn’t realize this until they had left), we met/hung out with/had drinks with Josh Homme after he autographed/drew-on Meghan’s iPad. The shows were both epic. It was Meghan and I’s first time ever seeing Mudhoney, which is so incredibly unacceptable it’s not even funny. But at least we finally saw them, and saw them twice at that. Queens of the Stone Age were amazing as expected. Meghan hadn’t seen them previously but I caught them once when they were part of the last touring-Lollapalooza with Incubus and Audioslave. We saw The Strokes for our 3rd and 4th times and they continue to be great, and Pearl Jam certainly did not disappoint with their incredibly long sets. We knew Cornell would be there going into the shows, but rather than take away from the surprise, it made the Pearl Jam set that much better. I joke a lot about my not-exactly-#1-fan status with Pearl Jam but in reality, I’ve been a fan for years. Meghan and I met after we each drove 5+ hours to see them at some place they usually use for Rodeo’s on the 2004 Vote For Change Tour. There have been times, at previous shows, where I’m just not that into their entire library, and when they go on for 2.5-3 hours, there’s a point where I do wish the show would have ended already. It’s very possible to be a fan of a band and just not want to see them play every song they’ve ever written. With his being such an important event, and knowing that Cornell was coming out, I was able to really appreciate the full set more than ever before and appreciate the band like I hadn’t in a while. Cornell was great, his voice just somehow improves again and again and this is incredibly obvious listening to the Temple of the Dog sets. Below we have our media from the shows. For the non-Soundgarden related bands, we have YouTube videos of some of the performances. 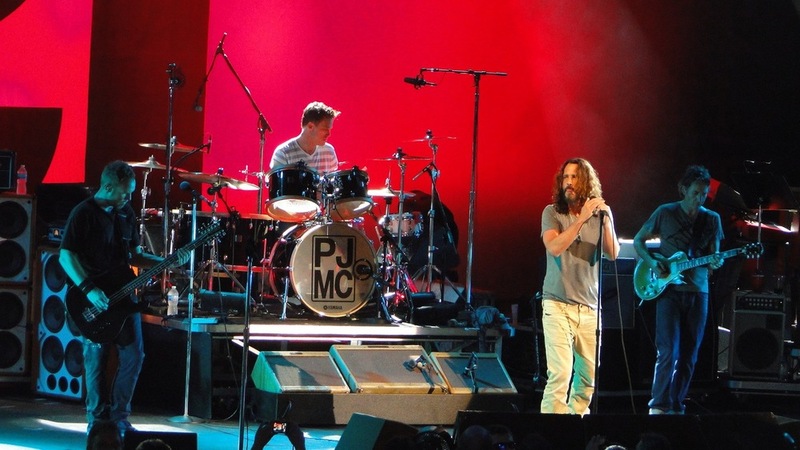 For select Pearl Jam, and all Temple of the Dog, we have the YouTube videos but we also have MP3 audio and downloads of the videos so you can load up your iPods and smart phones with ‘em or beam them to your TV’s whenever you want. You can download - at least the Chris Cornell & Temple of the Dog - videos on our Google Drive page. You DO NOT need to sign in or even have a google account for this.